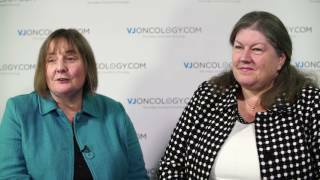 UKONS 2016 | What is the Career and Education Framework designed for nurses? 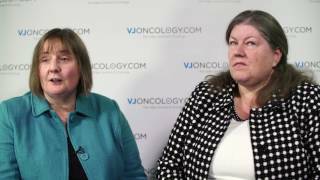 Susanne Cruickshank, PhD and Vanessa Taylor, RGN, EdD, MSc, PGCE, BSc, DPSN of the University of Stirling, UK and University of York, UK respectively, talk about The Career and Eduction Framework, a document created for all nurses to help them with cancer care. The Career and Eduction Framework, initiated in 2012, is a joint initiative between the UK Oncology Nursing Society (UKONS) and the Royal College of Nursing Cancer and Breast Care Forum. Its purpose is to ensure that the workforce, which includes registered nurses, and unregistered healthcare support workers and pre-registration students, are able to meet the physical, psychological, spiritual and social support needs of people affected by cancer. Furthermore, the aim is to make sure they feel well-prepared to support people at all stages of cancer. It has been a long time in the making, with a significant amount of development in the past year with feedback from various places. All of this has fed into the final version, which is currently being designed and printed for publication on the RCN website. It has a range of audiences including individual practitioners, service managers, educators and policy makers and commissioners. Dr Cruickshank goes on to explain that in cancer care, clinical nurse specialists and their valuable role are often talked about but they are part of a bigger team. Therefore, one of the fantastic opportunities available is to influence other fields and other nurses that are not necessarily cancer specialists. 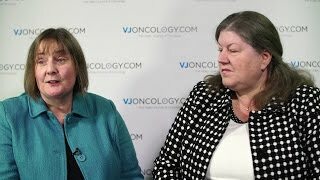 A key message is to recognize that all nurses, wherever they practice and whatever their role, will meet people with cancer and it is important that they feel prepared for that. Dr Taylor explains that in the pre-registration, undergraduate and postgraduate curriculum, often there is variation in the amount of education provided around cancer and the care of cancer patients. So the document tries to make sure nurses at the point of registration have this baseline understanding of how to support cancer patients and their families. Dr Cruickshank and Dr Taylor explain that it is important to make sure that as many nurses as possible can get hold of this document and also provide feedback so that it can be improved and prove to be useful to all.